Aloha E Komo mai/Welcome to our home. clients are being referred to our students call us for the referral. Services: Opu Huli/ stomach massage, Full Body Lomi Lomi with oil or client in T-shirt & Shorts. We also do cleansing and will instruct you how you can do your own cleanse at home. 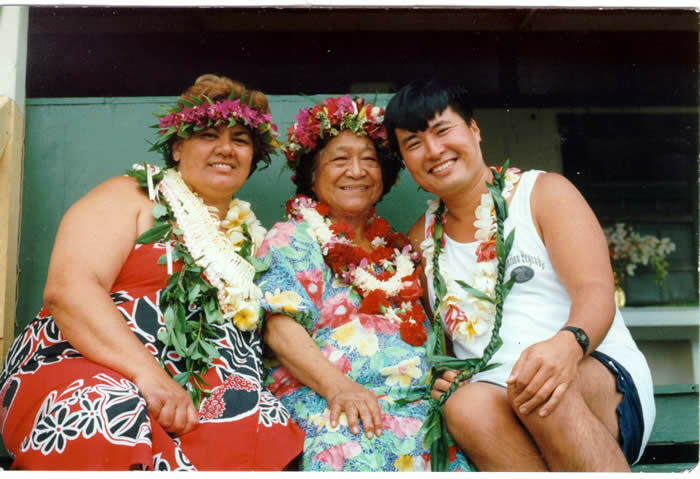 Auntie Margaret Machado taught us that Hawaiian Lomi Lomi is a Praying work, we will begin each session with Pule/prayer, for it is the Lord that heals not us, we are just His servants. In the session you will be encouraged to do your own Ho'oponopono/release and let go all your unforgiveness, anger, etc. before the Sun sets each day. And ALOHA, ALO=before the Divine presence HA=the breath of life, when we live in unconditional love we breath the very breath of the Almighty Creator.